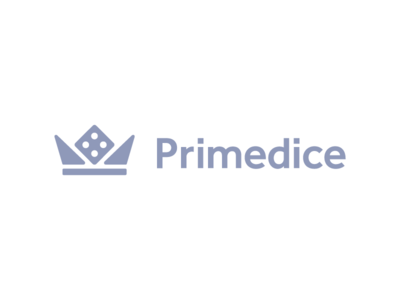 Primedice is undoubtedly the most popular dice game on the online market. Since its launch, back in 2013, it has provided exceptional services to nearly a million users. Everything about this dice gaming site is simple and straightforward, from the website to their games. In our Primedice review, we’ll discover what it takes to spend some gambling time on this site. Let’s explore the possibilities that this site offers. Our goal is to make it easier for you to decide whether it’s an excellent choice for your next gambling adventure. Let’s get started. The Primedice game is at the core of this gambling platform. It is a simple yet quite entertaining game. No matter your gambling background and experience, it will be easy for you to pick up the game and start your new playing journey. In fact, all that you need to do in order to play this game is enter your bet, choose your winning chance or payout and roll the dice. There’s a green win region. To win the game, the roll generated after you roll the dice should fall within the range of that region. However, you’ll need to create a proper Primedice strategy to win. There’s no doubt that playing this game is simple and straightforward. What’s also great about it is that it has only a 1% house edge. Moreover, the game is based on a provably fair system, which ensures that no extrinsic factors can impact the outcome of the game. Just make your strategy, because after all, this is the only factor that can determine the outcome of your play. Another feature that adds up to the entertainment at this site is the unique Primedice faucet. The faucet gives you the chance to earn several hundreds free Satoshi when your account balance is equal to zero. The faucet is a great way to collect some coins. However, keep in mind that this is possible with the reasonable use of the feature. On the site, there’s a warning that everyone who tries to make some Primedice hack will receive a ban from using the services. The Bitcoin gambling platform is straightforward and contains only the essential content. The site is easy to navigate through, and you can easily find what you are looking for. When you first open the site, you cannot access the content on if you do not provide at least a username. After you enter the Primedice website using a username, it’s highly recommended that you set a password. Only in this way, you will prevent losing your account and the data associated with it. Primedice Bitcoin gambling has gathered a strong community base. The link “Community” from the main menu leads to the forum of this site. What has surprised us is that there are thousands of posts in every category on the forum. Moreover, there’s an open chat that you can use to communicate with other gamblers in real time. This is what best speaks of the immense popularity of this gambling site. Furthermore, the friendly customer support team is 24/7 at your disposal on the live chat. This said you would never have troubles solving your questions, doubts, and issues. When it comes to making payments and transactions on Primedice Bitcoin is the only option you have. Many gamblers consider this to be a disadvantage. However, this brings several advantages such as fast transactions and a high level of anonymity. Bitsler review was a pioneer during our search for the best Bitcoin casinos. Let’s make a quick comparison between these two so that we can see the differences between them. In comparison to Primedice, Bitsler: accepts 11 cryptocurrencies; has four different games; doesn’t have live chat support; has the same house edge of 1%; also doesn’t require registration. This is a common and understandably the most important question for most gamblers when it comes to choosing an online gambling site. And it should be, because what’s the point of gambling when you are not sure whether the game you play is fair. This is not something to be concerned about on Primedice. You can test the fairness of the games/rolls by clicking on the “Fairness” link from the main menu. Although there isn’t a list of restricted countries on the website, it is a common knowledge that players from the USA and UK are not allowed to gamble on it. With all of the features that we went through in this Primedice review, we believe that it won’t be a problem for you to decide whether this gambling platform is a reliable option. 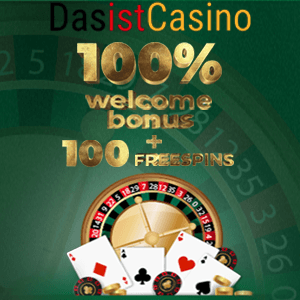 Just put this site scores high in features such as gaming entertainment, main platform characteristics, community and customer support, provability and level of anonymity. Hence, we cannot deny that this is a site that is worth its high popularity among a considerable number of players. And, you have many reasons to become one of them.